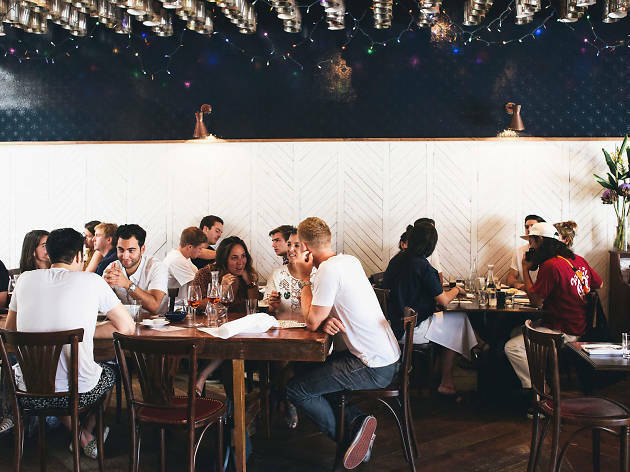 Restaurants, French Fairfax/Beverly/La Brea/Third St.
Marvin is a neighborhood spot, a place where Beverly Boulevard locals come for a hearty plate of rigatoni bolognaise, oysters and a bottle of wine to share. But if you don't live in the area—and you're a true fan of wine—it's also a worthwhile destination for glasses of white, red, rosé and bubbles (drop in on Tuesdays and you'll be privy to Marvin's ham and sherry night). On weekends, brunch dishes come rolling out of the kitchen: fried chicken and waffles, smoked salmon Benedict, huevos rancheros and more. I can't believe it took me so long to come here. What a great spot to visit for a glass of wine, some apperitivo or a plate of pasta. 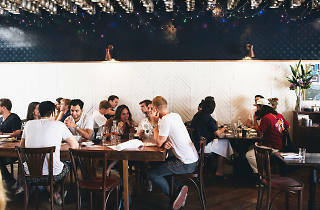 It's homey, casual and completely unpretentious. They also have a great sherry program.